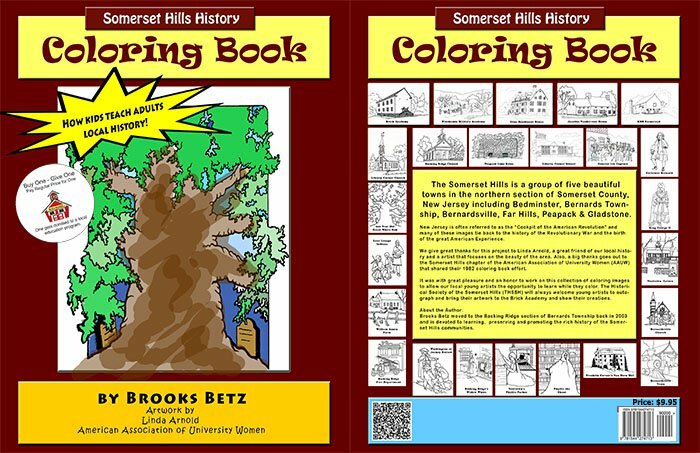 T3 Consortium, a local company in the Somerset Hills, is proud to announce a new program for education programs to create a great program to make available for children while teaching them about some of the greatest historic people, places, and events in New Jersey’s Somerset Hills area including Bedminster, Bernards Twp, Bernardsville, Far Hills, Peapack & Gladstone. A great idea is to distribute the book to each student, pick maybe one image per week, tell a brief story about the event, person or location. Let the students either do it in class, or take home for an assignment. Do the same as the school program, or consider doing some sort of event where the children get to color an image (their choice or yours) and then they get to tell about what they did when they complete the drawing (e.g. color selection or maybe adding an activity where the child gets to write something the person in the image might have said. Pick the image that you like the best (e.g. your facility or story), have the children complete a xeroxed copy of that image. When they present their colored image back, post them on the wall. THEN, when they think they’re done, GIVE EACH OF THEM THEIR OWN BOOK! Watch their eyes light up! Then create a follow up activity and have the kids (and their parents) come back to your facility. A great traffic enhancer! Yes, real estate agents! 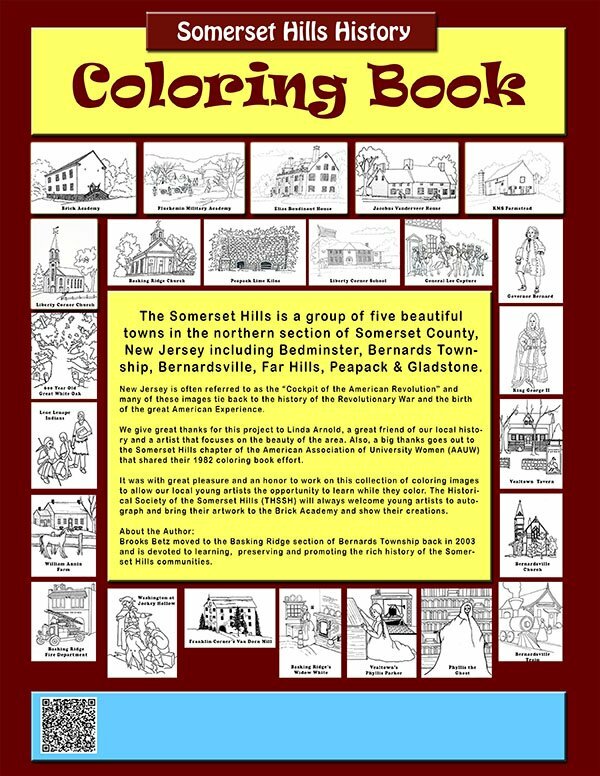 What better way to welcome a new family to town than with a coloring book for their kids that shows them the rich history of the Somerset Hills area. For such a small gesture, imagine how happy the kids will be when they get the chance to color historic figures from their new town. A nice touch to say the least! Here’s a great offer at half the price. 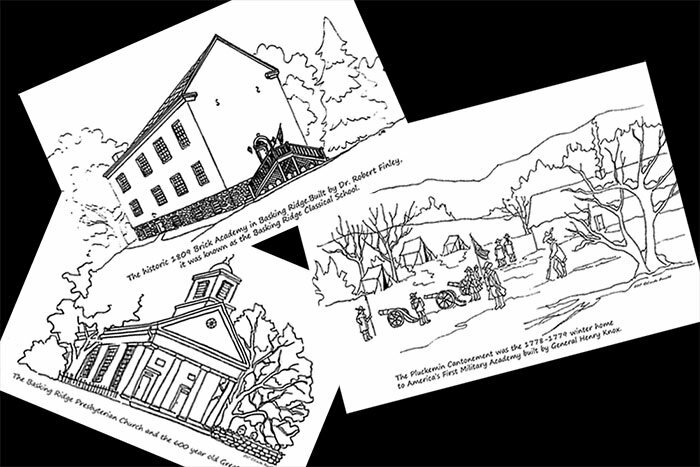 Why not have your kids learn about local history and spend time enjoying what they do. Order 25 – GET 50 for just $250! (50% off) Add 50 4pk crayons for just $16 . Order 50 – GET 100 for just $500! 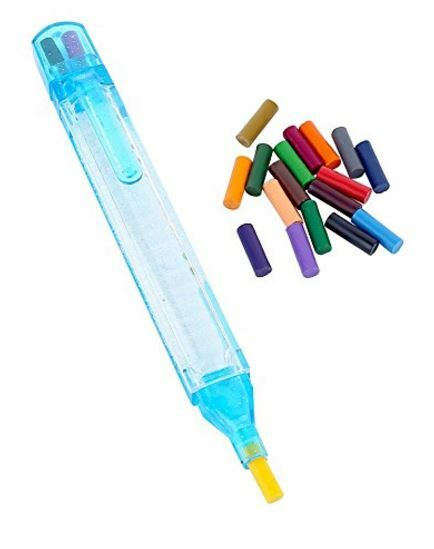 (50% off) Add 100 4pk crayons for just $32. Order 100 – GET 200 BOOKS for $1000! 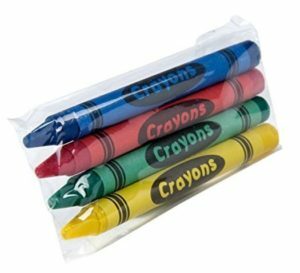 (50% off) Add 200 4pk crayons for just $64 . 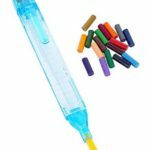 Mini kit of 20 colors – add $1.50 each. To take advantage of this offer, visit our contact page and provide your details and we’ll contact you. Thanks! And keep on sharing our local history!